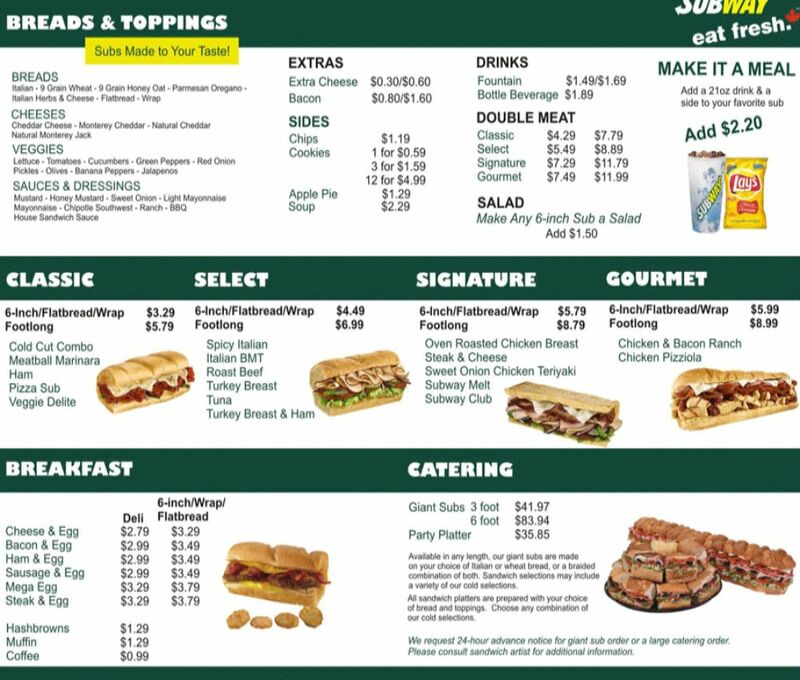 Example of a Subway Menu with prices. Includes all Classic Subway Subs and sides, salads, cookies and drinks. This Submay sandwich menu is an example only, and prices and the availability of subs may have changed. Please, see our page ‘subway menu prices for more information on the Subway Menu. The image can be enlarged.